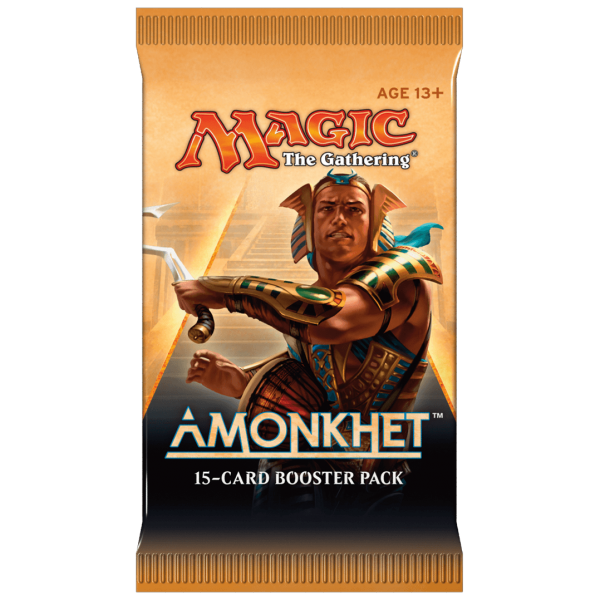 Please note this item is for a single random Magic the Gathering – Amonkhet Booster Display. For an engaged player, booster packs are the basic unit of Magic. They’re used to play Limited formats, like Booster Drafts, as well as to build a collection of cards for use in Constructed formats, like Standard. It’s a common ritual for engaged players to celebrate a new set by picking up a full booster display—a box of thirty-six booster packs that can be used to play Limited formats, like Booster Drafts and Sealed Deck.